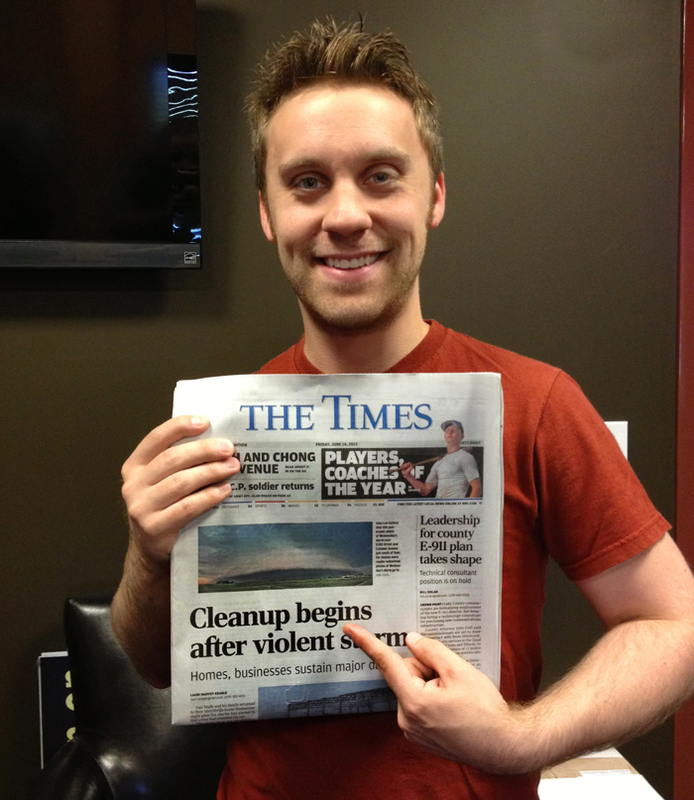 My supercell storm photo was featured on the front page of The Times of Northwest Indiana on Friday, June 14, 2013. Earlier this week, I took several photos and videos of the supercell thunderstorm that came through Northwest Indiana on Wednesday, June 12, 2013. This was the same thunderstorm that was part of the larger June 2013 Derecho storm system that moved through and on to the east coast. After taking the photos and videos and posting them online, they went viral and I was contacted by numerous producers from television stations across the country, including World News with Diane Sawyer, The Weather Channel, Good Morning America, CNN, AccuWeather, WeatherNation and more requesting permission to use the footage and the photo on their on-air broadcasts. I allowed them to use the photo and video and they provided me with an on screen credit. EXCITING!!! 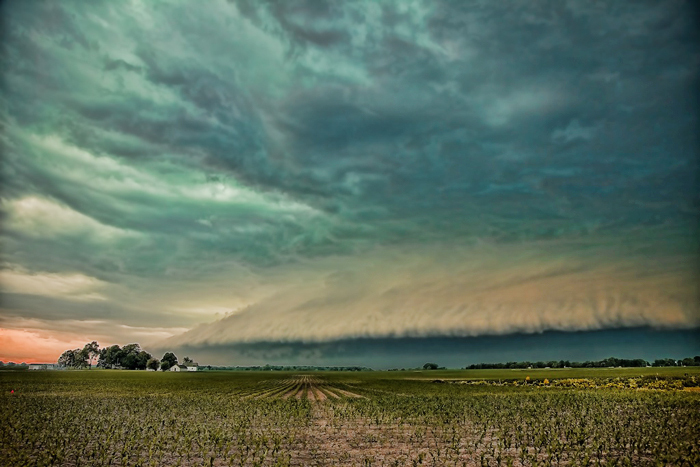 A supercell thunderstorm forming a derecho moved through the Chicago and Northwest Indiana area on the evening of Wednesday, June 12, 2013. This is a panoramic photo taken of the supercell that moved through Lake County, Indiana near Dyer at around 6:25pm CST. This storm cause property damage in Crown Point, Winfield and Hebron, about 10 miles east of this area.